In the past two years, I’ve been on a weight loss and healthy living journey that has included a slow but steady weight loss and a way better hold on my financials. Meal planning allows you to eat healthily and keep more money in your pocket because eating out gets expensive. So lets discuss some weekly meal planners and grocery lists, on a budget. Meal planning is asking the ever important and ever-present question, what’s for dinner? But instead of asking nightly, you ask once for the whole week. If you’ve never done meal planning before, it can seem like an overwhelming and time-consuming task. But the truth is, meal planning can actually save you time, money, and pounds when done right! This can be broken down into three, super simple steps: selecting recipes (or meals), shopping for ingredients, and prepping your meals. 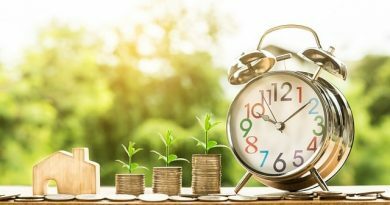 Not only does meal planning make a big difference when it comes to sticking to a specific diet but, as I said, it is also great for budgeting and saving money. Meal prepping and preparation each week keeps you from making convenient trips to your nearest restaurant or pizza place. That doesn’t mean I’m telling you to kick pizza night to the curb or never enjoy a night out at your favorite Thai spot. It simply means planning ahead and making smarter choices overall. The first thing you need to do when starting to meal plan is to consider your needs and goals. Are you looking to save money, eat better, or be prepared? How many people are in your family? What are their diets? All of these questions are critically important when creating your weekly meal plan. Once these questions are sorted, it’s time to hit the internet and cookbooks for recipes! This is personally my favorite part of meal planning, as I’m a newbie at cooking. I get almost all of my recipes from Pinterest; it’s the perfect place for every kind of recipe imaginable. Plus, it’s a great tool for saving recipes I love. I like finding all kinds of kitchen inspiration for meals, tips, and tricks! Choose meals that will give you leftovers. Pasta dishes are usually great for this! Cook recipes you know + one new recipe. This will allow you to slowly grow your recipe repertoire while still making everyone at the table happy! Mix up easy to make meals and more complex one. I don’t always want to spend time in the kitchen after work so I try to mix in quick recipes. Try to cook a maximum of 3 times a week. When you cook, cook enough for two nights and mix in leftover throughout the week. Pick recipes based on common ingredients. One of my tips for frugal living was to use what you already have in your pantry when cooking. I’ve shared this site with you before but it’s such a great site for giving recipes based on the food you already have. Cook things you really want to eat. It’s tempting to try something new and crazy but when it comes time to actually eat it, make sure the meal is something you’re going to want after a long day at work. The next step is to make a master ingredient list. This won’t be your ultimate grocery list but it will help you take inventory of what’s in your kitchen vs what you need to purchase. 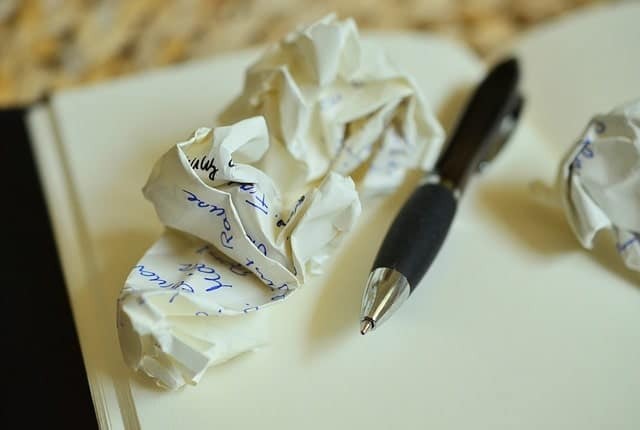 Write down every single ingredient you will need for each recipe then check off what you already have in your kitchen. This is what will turn into your grocery list. Pro tip: don’t necessarily cross something off just because you already have it. Some items will always be in rotation like frozen veggies or rice. 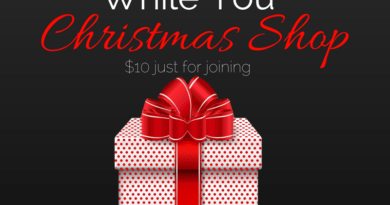 Use this opportunity to search for some coupons or deals and stock up! Now that you’ve got your items that you need to purchase at the grocery store, the most efficient way to physically tackle the store is to group your ingredients together by department. For example, group all of your dairy items into one section on your list. Check out some of these grocery list templates to help keep you organized. Recipes, goals, and ingredients in hand, you’ll next need to take a look at your week ahead. Depending on your situation, you’ll want to consider your night carefully. Do you have children who have sports practice every night? Is your partner working late? This kind of planning will help you make smart choices about which meals you make which night. Once you’ve scheduled out meals, you can begin the prep work for the week. Dicing up veggies, measuring out spices, washing herbs and fruits, and even cooking some meat ahead of time can save you tons of time and stress during the week. Never meal plan without checking your calendar. As I mentioned before, it’s imperative to look at the activities that are going on in the coming week. This will help you plan for which meals can be made which nights. Give yourself sufficient time to plan, especially in the beginning. Try and only plan one week at a time to avoid surprises. Never create a meal plan without checking the pantry, fridge, and freezer. Even if you think you have something, always check. You never know who may have had a midnight snack. Try to stick to between 2 and 5 recipes when planning the week. 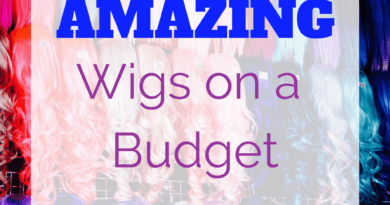 It makes planning, shopping, and organizing much easier. Always keep a backup meal ready. No matter how great of a planner and prepper you are, at some point, something will go awry. Having a backup will keep this from turning into a stressful disaster. Personally, I always keep three frozen pizzas on hand. Don’t get too ambitious. Stick to a good combination of what you know and throw in one or two recipes that are new. Going all new all the time is stressful! Be flexible! Don’t hold too tightly to your plan. Don’t be discouraged if you need to move to plan b one night. It’s okay! Save your recipes! If you made something that turned out great, save it! This will be super useful in the future. 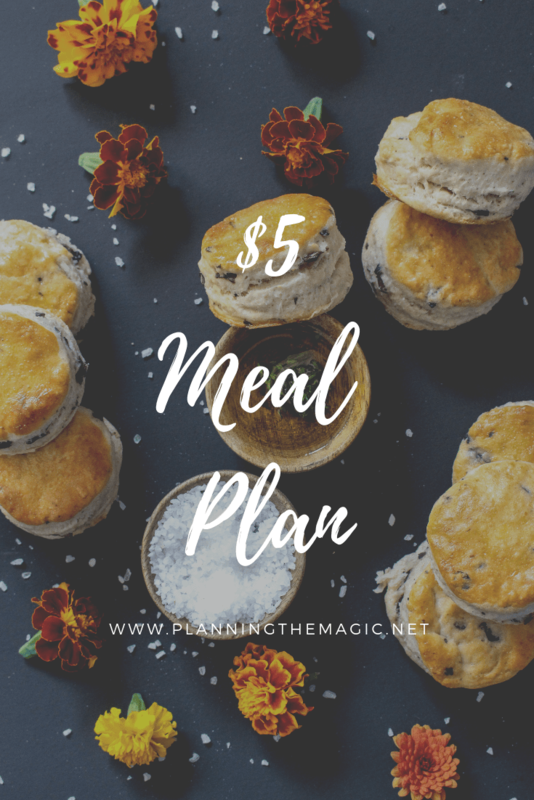 Now that you’ve got the basics of meal planning down, I’m now going to share with you one of my favorite meal plans: the $5 Meal Plan! You know I am all about budgeting and saving and this meal plan is perfect for anyone looking to plan, budget, and save on food costs! Their mission is simple: help as many people save money, time, and stress through smart and simple meal planning. Their meals are designed to be both affordable and delicious. Each of their meals will cost about $2 per person and in many cases less. The founder of the platform makes all her meals for her family of 6 for $5 per meal. Five dinner entrees with sides – each week they will include one freezer friendly meal, one slow cooker meal, and one 20-minute meal. This option is great for individuals or families that have more specific tastes and preferences. It is also a great system for those with food allergies. Their builder allows you to choose meals based on the type of cooking method, dietary preferences, the meal of the day, or by ingredients. Once you’ve chosen the meals you like (you can add up to 10), just drag and drop them so you can print them out! 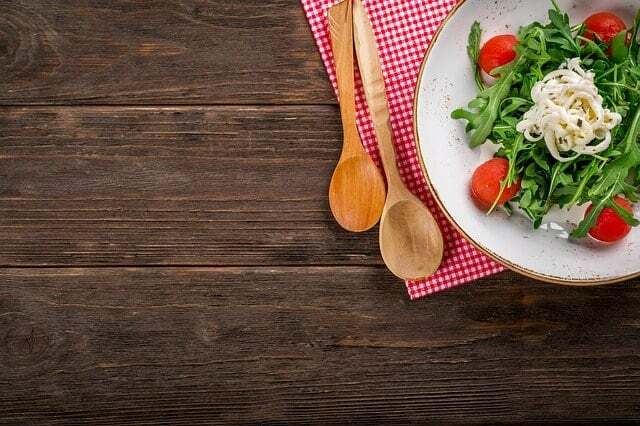 In addition to their weekly meal plans and meal plan builder, they also offer 6-week specialty meal plans at a significant discount to the regular price. Their specialty meal plans include 30-minute meals, slow cooker meals, paleo meals, and vegetarian meals. Finally, $5 Meal Plan features a Savings & Coupon Center showcasing grocery coupons that can be used at your local store. 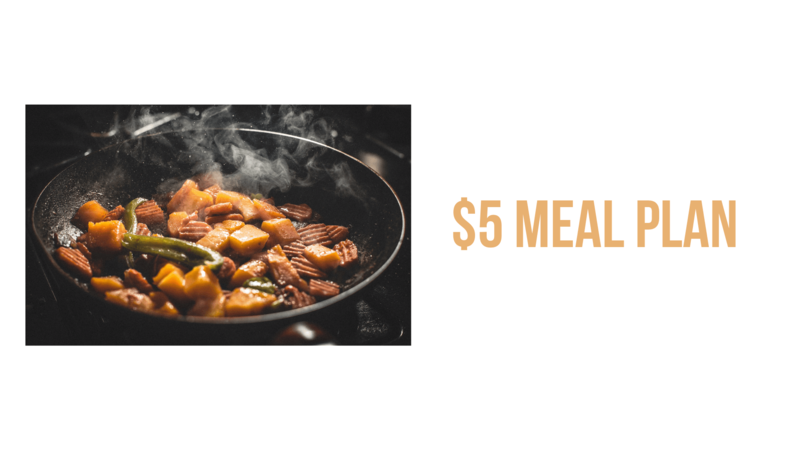 $5 Meal Plan is a great way to start meal planning and stick to your budget. It will save you time and save you the stress of having to spend hours each week meal planning. They offer a 14-day free trial of their services to see if it will work for you and your family. That means you will see 40 recipes to figure out if they are right for you. Best of all, they offer a 100% satisfaction guarantee. Get more information on the $5 Meal Plan! I love utilizing meal plans every week. It keeps me accountable not only financially but also health-wise. I know I am eating real food that is good for me instead of ordering out. Meal planning is great for every individual, couple, and family. Plus, it’s always nice to sit around the dinner table with each other! Have you meal planned before? I’d love to hear about your experiences! These are all great ideas I can incorporate into my meal planning style. I generally go shopping every 3-4 days and try to have three meals planned out when I leave the store along with odds and ends. Whenever I make plans, I’m more successful. And when it’s in writing, even better! Shopping lists are essential. We have been meal planning for years and it really eases the burden on those busy weeknights. It seems like the $5 Meal Plan further simplifies the process while helping families save. This is so tue, I began meal planning over this past summer because our grocery bills were getting so out of control. I am quite mindful of what I purchase and only purchase those items. Nothing else goes into the shopping cart unless it is in the weekly meal planning. Saving SO MUCH money!! I am awful with meal planning, so this is very helpful! And I Am all about $5 meals! Being able to stay on budget with an inexpensive meal plan definitely sounds nice. It’s easy to slip up and buy things you don’t need when you’re without a guide. I don’t plan meals at the moment. But it seems like a good thing to do. Your tips are great and for sure will help to change that! Thank you for these tips! We started our meal planning last week and it’s been great. But I wish I knew all of these! I used to be a $5 meal plan member – it is SO helpful on those busy weeks to stay organized and on grocery budget!